Following on from Fire Safety Week earlier in the year which focused on learning how to prevent fires we are taking a look at products which will help aide your escape in case of a fire. This is where the emergency escape transit chair comes in, used in cases for people who are immobile or can’t move as quickly as others. The chairs can cope with between 102-150kg load capacities on them and are designed to fold flat for easy storage when not in use. Using the higher capacity Exitmaster chair means that you can even use them on stairs, between an inclination range of 28-42 degrees. 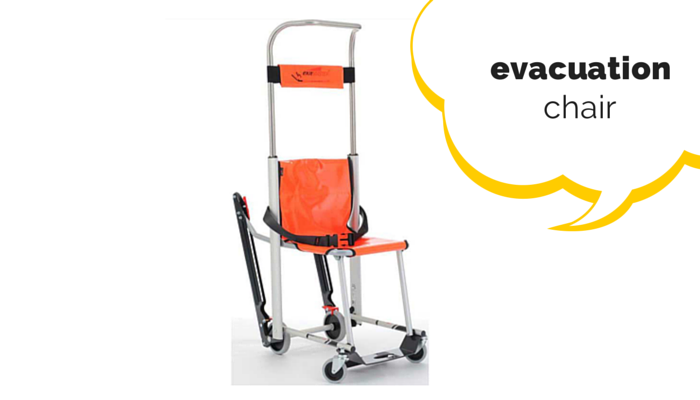 It also has a wall mounting kit so you do not have to take up room in your storage facilities and it ensures easy access just in case of an emergency as well as ensuring that it does not cause any obstruction along the evacuation route. You can read in depth about the means of escape for disabled people on the gov.uk website. And if you need to brush up on Fire Safety in general the hse.gov.uk website has some handy advice and lists to help you make sure that you are compliant and prepared for any fire related eventualities. Of course these do not have to be limited to just emergency use, these chairs are highly versatile and can be utilised for a number of uses and scenarios. It’s also worth noting that the chairs are manufactured in the UK, so you can be assured of their quality and price. 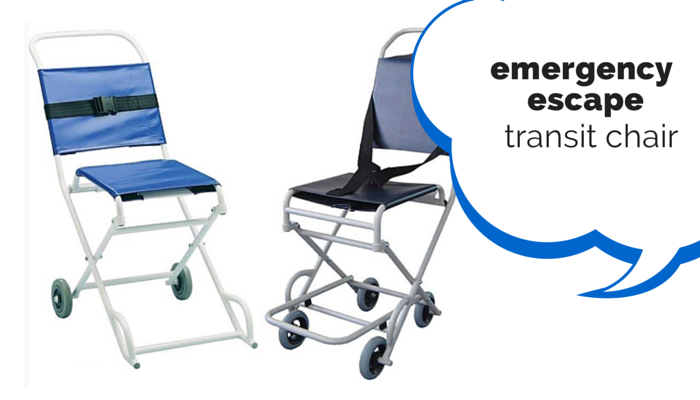 If you have any questions regarding any of emergency transit or evacuation chairs then please do not hesitate to call our customer service team on 0808 163 3704 or you can speak with them online using our LiveChat! service.